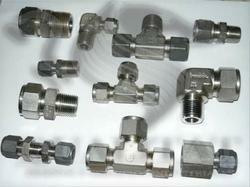 We are offering Compression Tube Fittings to our client. Thread Standard: NPT,BSP,G,AN,PT,RP,ISO and etc. 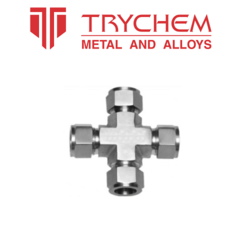 Being a quality centric organization, we offer supreme quality flare less Compression Tube Fittings to our valued customers. Our range makes a spring action for easy usage. They are available in a size of 3 millimeter to 50 millimeter to our clients. These products are manufactured using Stainless steel AISI 304, 316, 316-L, Copper and Brass, Monel, Inconel & Other special grades etc.